In our increasingly connected and automated world there is a significant opportunity to produce detailed and widespread, real-time, street-level reporting — a global network relaying on-the-ground information, available at all times of the day and night. 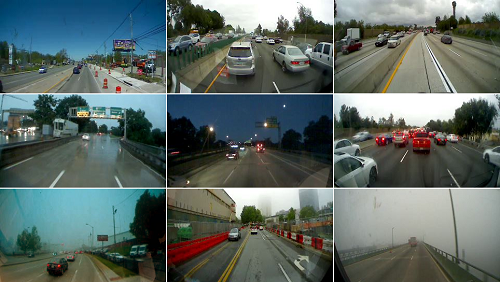 Vizzion, already the provider of the world’s largest network of traffic cameras, is announcing a new platform that will give access to on-vehicle cameras — producing live imagery as they travel. On a never before seen scale, imagery is collected on the fly from a network of tens of thousands of cellular-connected on-vehicle cameras, thanks to Vizzion’s exclusive partnership with one of the world’s largest commercial-vehicle telematics camera suppliers. Vizzion expects additional partnerships which will ultimately expand the network into the hundreds of thousands of vehicles. By collecting imagery from key road locations or ‘hot spots’ worldwide, the new system will considerably broaden Vizzion’s coverage and add significant density to existing areas. One such obstacle was ensuring that the new service does not infringe on anyone’s privacy; all imagery is anonymized and collected from public roads only and no personally identifiable information, such as faces or license plates, is produced. The addition of real-time street-level imagery from on-vehicle cameras to Vizzion’s already robust network, integrated seamlessly into Vizzion’s XML Web Service to allow for quick and easy implementation by application developers, will be a boon for any developers involved in traffic management, weather reporting, incident investigation, public safety, or other fields. 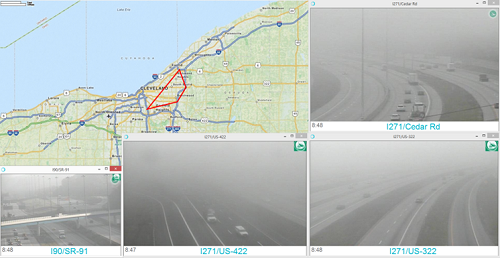 Vizzion is the leading traffic camera supplier for traffic and weather applications and operations centers. Through partnerships with over 180 different transport agencies worldwide, Vizzion offers live feeds from over 60,000 roadside cameras in 37 countries across North America, Europe, Asia, Australasia, and key markets in South America and Africa. The service is available through a flexible XML Web Service and turnkey Desktop Video Wall software. Vizzion’s content is trusted by major digital, broadcast, traffic, fleet, and automotive organizations.